Discussion in 'the Art of Noise' started by pash4fash, Jul 17, 2009. Shingai is the singer from the Noisettes, I think she's really pretty and I always admire her style on stage so I thought I'd begin a thread for her! Yay, im so happy there is a thread for er.She's amazing.I love what she's wearing at the start of this video.Any possibility you could ID the outfit? She looks brilliant in that video, I can't get over how pretty she is. She's nicely proportioned! Her hair is really original too! 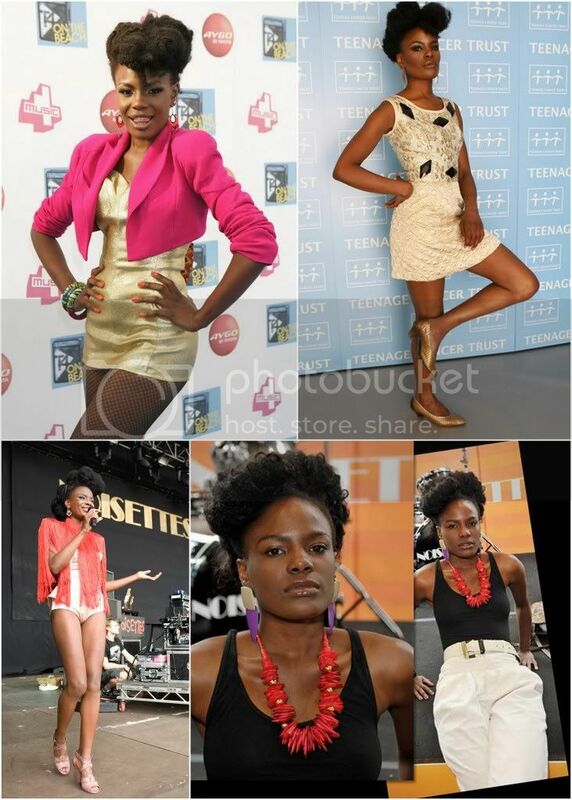 Shingai at T4 on the Beach. ^^That's correct. 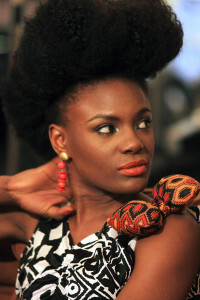 I love Shingai's hair and she looks like a model. OMG these pics are AMAZING! 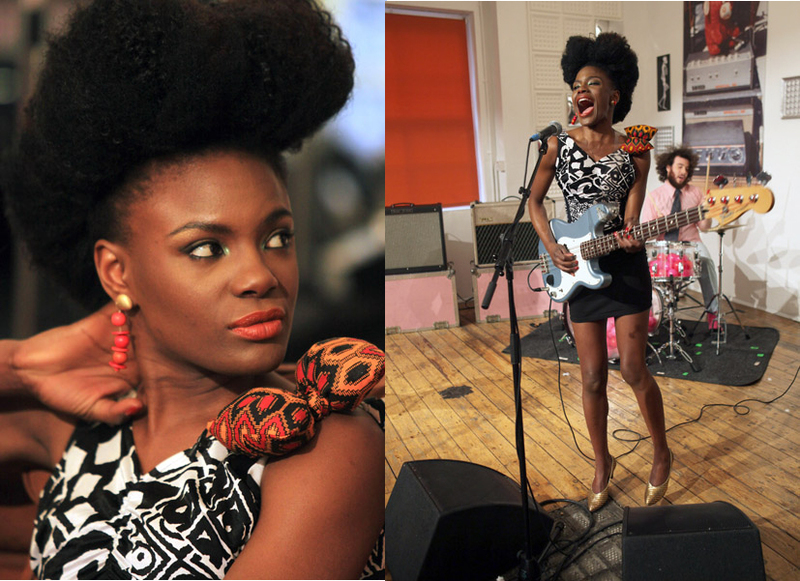 Her style is fab, great hair, and she has a rockin body!! 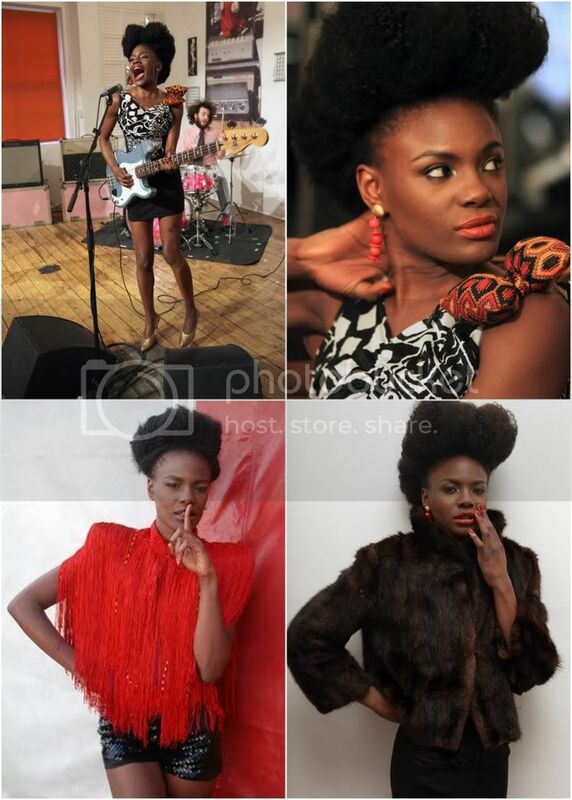 And it so happens Noisettes are one of my current fave bands! Woo! Tolula Adeyemi and Shingai Shoniwa. ^They both look GORGEOUS! I like the blue feathered effect on that dress. i've been a fan of hers for a long time. 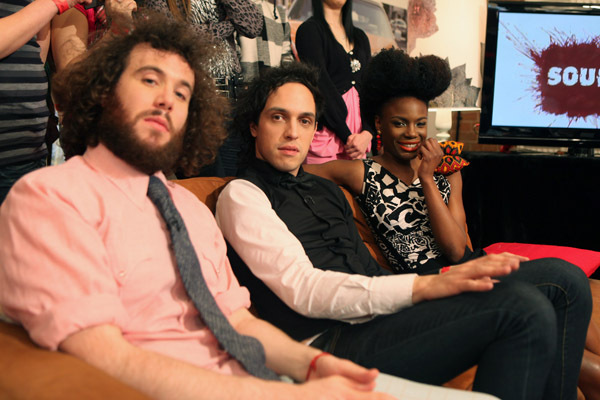 the "wild young hearts" album was amaaazing! i completely forgot they existed till one of my fave bands, AM taxi, covered one of their tracks. 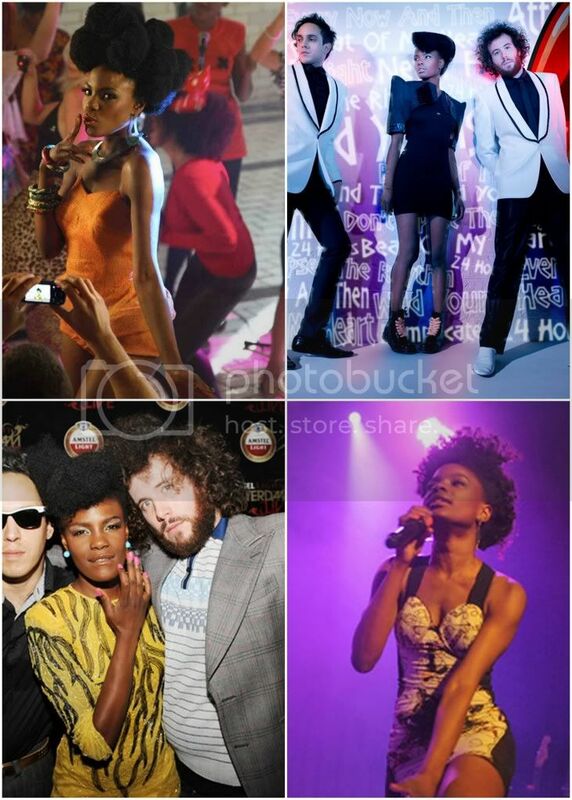 sometimes i mix her up with janelle monae though.